Utrecht and Malie Hotel have lots to offer. If you're looking for more than just a city trip, then why not add a little extra to make your stay unforgettable! Get ready for the must-see attractions of Utrecht, do you want that extra special wedding night or just a super relaxing stay under at Malie Hotel ? We've got it all! Stay at Malie Hotel and get to the top of the highest church tower in the Netherlands, the Dom Tower. The unbeatable city views are worth the 465-step climb. After your climb you can explore DOMunder, 2000 years of history of the Dom Cathedral, Utrecht, the Netherlands and Europe. Forget about the canals of Amsterdam and make sure you explore Utrecht from the water. Utrecht is famous for its unique canals with their wharves and wharf cellars. Spend your wedding night at Malie Hotel and enjoy the afterglow! We'd love to be part of your very special day. When booking our newlyweds package we'll make sure you can just relax and celebrate love. 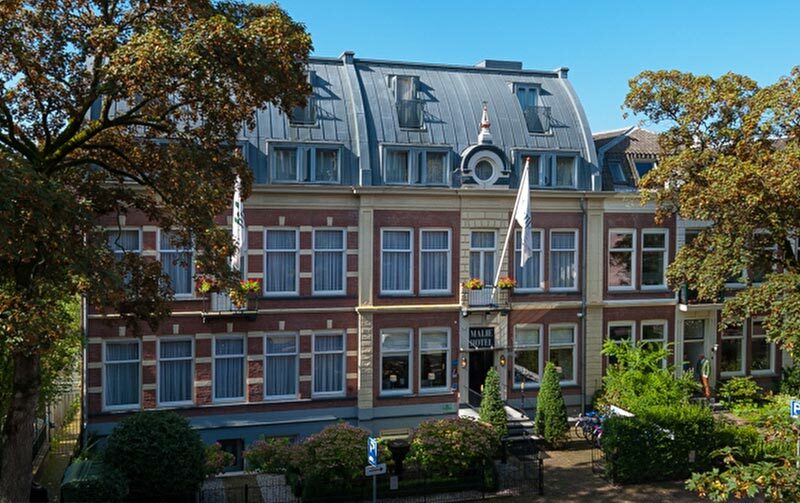 Stay in a charming boutique hotel located in an authentic 19th century mansion within walking distance of Utrecht city centre.